I think it's time for another giveaway! This is yet another goodie I crafted when I had such terrible vertigo. 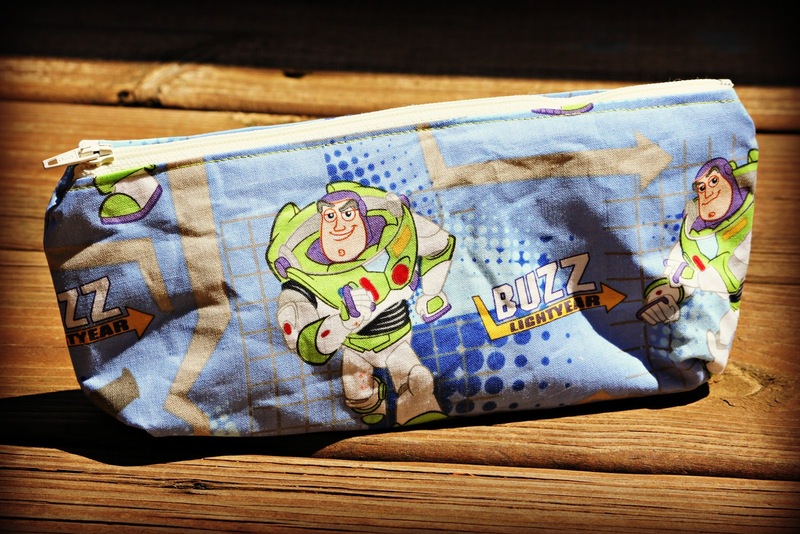 It's a Buzz Lightyear pencil case, and it is stuffed with school supplies. Don't want to wait to win it? 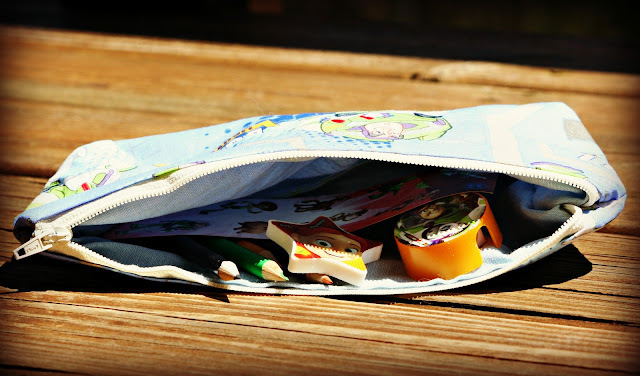 I have tons of fun pencil cases (Star Wars, Hello Kitty, Brave, John Deere, and many more) available in my Etsy shop, which you can find here. This is adorable Lisa; perfect for a little one! Great job on the case. I can't put zippers in worth a darn!! What a fun giveaway. I had no idea you made these. Very crafty Lisa. Bet your boys love them! Your vertigo didn't prevent you from being creative. So cute! Amy was absolutely crazy about that movie! This is awesome! I still can't figure how you made these with vertigo! I am not entering, and you know why. My favorite would probably be Woody or Jessie, but my sister likes Buzz best. 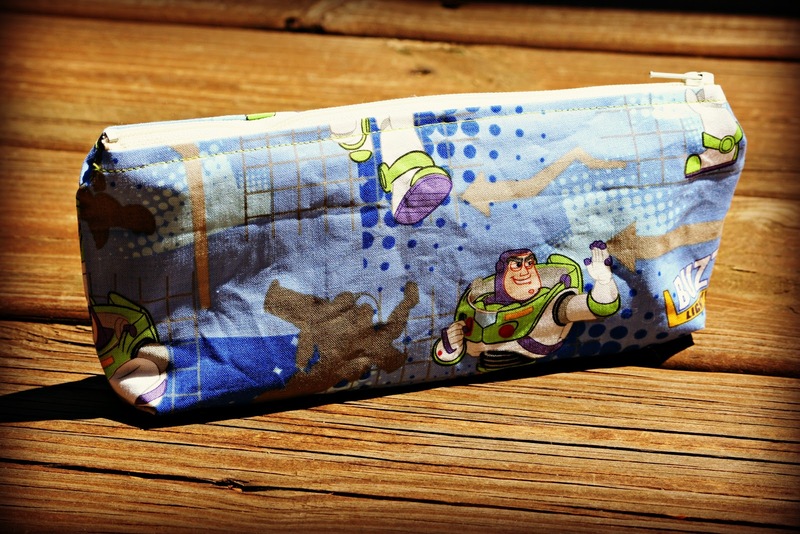 I think I would say that Buzz is my favorite and it might be because my 5 year old son has always called him "Buzz My Ear" instead of Buzz Lightyear, lol. woody is my favorite character. I have to go with Woody; he's just adorable. i love ken, bo and rex! I like Mrs. Potatoe head and my granddaughter loves Jessy the cowgirl. We like Buzz! Thanks for the chance!